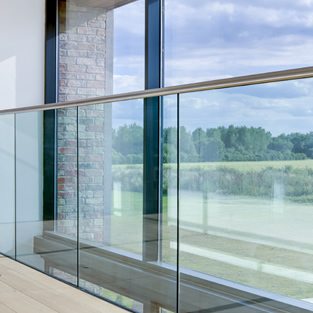 Glass balustrades offer the perfect combination of enhanced safety and the most elegant of aesthetics. Designed to create robust physical barriers without obstructing views or casting shadows, our glass balustrades make the perfect alternative to standard barriers, banisters and fencing options. Elegant in design yet superbly robust in nature, glass balustrades have become the very hallmark of sophistication and practicality. We create balustrades that serve as visual enhancements in their own right, while at the same time bolstering safety and security exponentially.